Tennesee Walking Horses from Walking Horse Farm, owned by Marilyn and Richard Kinney, in Cut N Shoot, Texas. Website info on the horses can be found at http://www.walkingk.com. 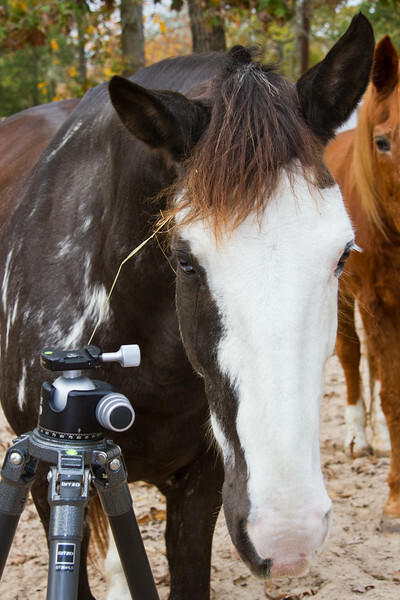 Sonny, "Ness's Midnight Son", is curious about the photographer's tripod.